It’s snowing. We are at a halt in the countryside, other than the slow proceeding to town to vote by all my neighbors. They’ve been so dispirited about this election that I’m grateful that they gathered the nerve to go. I have very good neighbors. Anyway, I have been challenged to make a dish that is something filled or stuffed. I’m still on a reduced carbohydrate diet, so many dishes were tempting but not sensible. After all, with the roads as slick as a con-man’s spiel, who would eat them before I lost my self-control? And so I am making fegatelli. Almost no one makes this dish nowadays and it’s a crying shame, because it is one of the most distinctively Italian dishes, really unlike anybody else’s food, in my opinion. I haven’t made it since 2005. This la rete, or the net. It is sometimes called net fat in English. It’s a natural part of the pig, thin and light and stretchy, and is the web by which my recipe hangs. I’m not sure it will be accepted as a filled dish. I’m pretty sure no one will make this top on their list of things to try. That’s a shame, too. It’s just delicious. 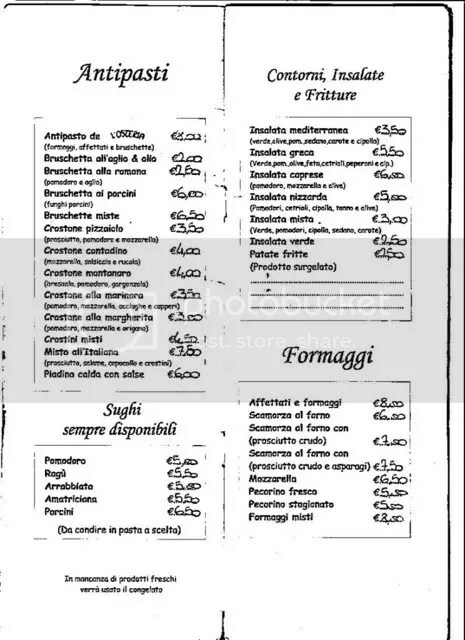 In other countries than Italy you need a butcher to ask for it and for pork liver in a piece, rather than slices. You also need fresh bay leaves, and you may for the first time discover what bay leaf actually tastes like, because here it’s a distinguishable note, not just a simmered-in part of a herbal symphony. Assuming your liver has come from a proper vendor and arrives already cleaned of veins and membranes, start here. If it has those things you will need to prepare it yourself before beginning. Cut the liver into chunks and the rete into pieces just big enough to fasten around them. You lay a chunk of liver on the net, then add a bay leaf and then make a gift package of it, fastening with a toothpick. Do them all. Heat a capacious frying pan to moderate heat, and add a thin coating of olive oil. Place the fegatelli into it, then lower the heat to low. I usually put a couple of scraps of the net fat into the oil so that when they simmer I can see the pan is ready. All you need now is patience, because the fegatelli cook slowly, always slowly, and you have to turn them as the bottoms brown, using tongs. I find that they need turning when the bottom browns enough to be free of the pan, since they stick at first. It takes a bit of attention to get all six sides browned, since some want to topple. When they are nearly done, lightly salt them. It takes less salt than meat usually does, and I don’t know why. When you surmise they might be done, after perhaps 30 minutes of slow cooking, take one out and cut it in two. It should be distinctly pink inside, but not the maroon of raw liver. As you can see, some have just been turned and the rest are just as they were when put in the pan. So this is what you have when you’ve finished. The rete has disappeared, melted into the olive oil and providing a delicate flavor you can get no other way. I serve them just like this, warning diners to remove the bay leaf as they cut them. While not as dangerous as dried bay leaf, these are definitely chewy and not terribly pleasant. I would deglaze the pan with a bit of white wine, drizzle the resultant sauce sparingly over the fegatelli and serve with roasted or fried potatoes. A crunchy contract will be nice with the meaty chunks. Heck, if you’re going to eat liver cooked in pig fat why not fried potatoes, too? You can always have a nice salad afterward. If you don’t eat them more often than every five years, I think you will come to no harm. This is the last one, folks. If you can’t make picnics with at least two of these tarts, you are doomed to eat inside all summer. : Life should always taste this good. You can prepare the vegetables as far in advance as suits you, but they should be at room temperature when you assemble and bake the tart. Lay out 2 sheets of filo and drizzle some of the oil on them. Spread it around with a pastry brush or your hands. Add two more sheets and do the same thing with the oil again. Lay the asparagus on the filo about 6″ (15cm) from one end and leaving about 2″ (5 cm) clear on each side. Alternate the stalks so that all the tips aren’t at one end. Add the scallions. Fold the 6″ piece over the vegetable mixture, then fold up and in the sides you left free. Proceed to fold over and over the resulting packet until completely closed. Slide into a 400°F (200°C) oven for 10 minutes, then reduce the heat to 350°F (165°C) for another 10 minutes or until it is golden brown and crispy. Use other vegetables when asparagus isn’t in season, just be sure to precook them enough so that they will be done when the tart is cooked. I have filed these as supper recipes because they were invented for such an occasion, but I would serve these as an elaborate antipasto, as lunch or dinner and certainly for brunch. Here is another of the tarts from Friday night’s supper. It seemed almost too pretty to cut, but we did. I ate the leftover bits cold the next day and they were still good. If your pastry is round, you will need to also cut the vegetables in half crosswise as well. It probably looks more elegant made in a long rectangle and with them all left whole. Line a shallow tart pan with the puff pastry (pasta sfoglia) and prick the bottom of the crust all over with a fork. Arrange the asparagus and the scallions on the pastry. In a bowl mix the mascarpone, the Parmigiano, the egg, Tabasco and salt together quite thoroughly with a fork or a whisk. Place dollops of that mixture all over the tart and then spread them with a spatula until it looks even. Sprinkle all over with paprika. Place in a 400°F (200°C) oven for 20 minutes or until a table knife inserted near the center comes out clean. Serve hot, cold or at room temperature. Lots of other vegetable combinations will work as long as they are thin enough to cook in the time the tart cooks. Even greens and blanched green beans would work. How about a nice piece of pie? It’s time for another video. This one describes five savory pies that I made yesterday for a supper for the neighbors. I will add the recipes one by one over the next day or two. I think I’ll probably get better at videos as time goes on. One can certainly hope, anyway. These torte salate (tohr-tay sah-LAH-tay) were eaten as one dish meals with a salad because it was supper time in Umbria. They also can be antipasto or first course as well as swell picnic foods. All but one are vegetarian. All of these can be made with purchased crusts, making them quick and practical for a cook who works, but all can be made from scratch if you want to save money. I always make the bread crusts from my Sloppy Dough Revolution recipe, then knead more flour into it before rolling out so that it won’t be too wet to form. All of these except for the Pepper and Salame torta were served at room (or garden) temperature, so they’re perfect for carrying along to a get together or for the concert in the park. Click on the link for the recipe. You won’t be sorry! Prepare the zucchini 30 to 60 minutes ahead of time, and lightly salt, leaving it to weep for a while. You could also prepare all the vegetables a day ahead and leave them in the fridge, but take them out to come to room temperature before baking if you do. Take 2 sheets of filo and drizzle some olive oil on then. Use a pastry brush or your hands to spread the oil around a bit. Add two more sheets and do the same thing. Lay the zucchini ribbons and the scallion halves on the filo, about 6 inches (15 cm) from one of the shorter edges and keeping about 2 inches (5 cm) of both sides free. Sprinkle with the herbs, the grated cheese and the hot paprika, then tear the cheese slices into strips and lay them over the vegetables. This cheese will melt and combine with the vegetable juices and seasonings to make a creamy sauce when cooked. Pull the free 6 inches over the vegetables, then fold the edges up for their full length. Carefully roll the packet to completely close it up. Using a big spatula and your hand, transfer the packet onto a lined baking sheet. Slide into a 400°F (200°C) oven and bake about 10 minutes, or until it starts to color, then reduce the heat to 350°F (165°C) and continue to cook another 10 minutes, or until golden brown like the ones in the video. Prepare the vegetables and salt the zucchini at least 30 minutes ahead of time. A two finger pinch is the amount of salt you easily pick up with two fingers and a thumb. Lay out two sheets of filo dough and drizzle the oil over the top one. Use a pastry brush or your fingers to spread the oil around. Lay the zucchini and scallions on that, leaving about 6″ or 15 cm free at one end and 2″ or 5 cm at each side. Mix the mascarpone, the Tabasco and the Parmigiano together in a small bowl. Add it to the vegetables in dollops from a spoon. Sprinkle it all generously with paprika. Fold the 6″ piece of free filo over the vegetables, then fold the sides up, then continue to fold the packet until it is completely closed. Lay the second 2 sheets of filo out, and add the oil exactly as before. Distribute the basil leaves here and there. Lay the packet you made 6″ (15 cm) from one edge and proceed to roll or fold exactly as before. The basil leaves show now, but they won’t when cooked, which is too bad, but they do flavor this tart very nicely. Sprinkle the packet with paprika and slide it into a 400°F (200°C) oven and cook for 10 minutes, then lower the temperature to 350°F (165°C) and cook another 10 minutes or until golden and crunchy. Serve hot, cold or room temperature. Pesto Genovese makes a nice sauce with this tart. I’m not sure if I ever published this essential mainstay of my summer life. We are preparing it in class today, so I reckoned if it isn’t here it ought to jump onto the page right now. Wash tomatoes and cut into chunks, cutting away the cores. Peel and mince the garlic then scatter it over the tomatoes. Sprinkle a biggish pinch of salt over all, then the basil slivers. Pour the oil over this and gently toss a bit with two forks. Place a clean dish towel over the bowl and leave it at room temperature for several hours. You make this in the morning to eat later that day. Eat it as an antipasto, a salad or even a light meal with good bread and possibly some cheese. 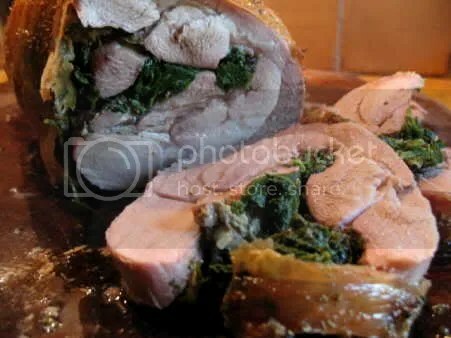 I was wondering yesterday if I knew anyone who doesn’t like porchetta, that ubiquitous Italian marketplace treat. I think I don’t. Hardly anyone is in a position to make it at home, however, because the first ingredient is a whole pig of about 100 pounds and where are you going to cook that? We do, however, cook other things in that style, which is boned , filled with delicious spices and rolled up in skin before roasting. Duck porchettata is a dish you sometimes see on menus. I’ve done smaller pork pieces like that, although you have to buy at a butcher to get the all-important skin for crackling. It wouldn’t be porchetta without crackling. This version uses the economical turkey leg and thigh, which happened to be on sale here this week. Admittedly, I was very hungry while it was cooking, but the perfume of this roast almost drove me crazy. I can’t think when I have ever cooked anything that smelled so good. I ended up eating cold asparagus in vinaigrette to hold out until it was done. And then, oh my goodness! Delicious almost seems like not enough of a word and I search for another one and can’t find it. This is good food, special food and worthy of any company. The slice you see is a bit thick because the roast is still blazing hot and dripping with juices, but as it cooled it became possible to cut thinner and more elegant pieces. L’osteria is the kind of small Italian restaurant that serves working people and youngsters out on a date without bending the pocketbook too far. That makes it ideal for many tourists unless they can’t find it. It used to be easy to find, but then someone in the city government gave permission to Bar Latini to build a permanent structure in place of their sidewalk cafe and they built it right across the entrance to the tiny alley that leads to L’osteria. Somehow it still stays pretty busy, but we haven’t yet hit high season, when it used to be swamped. There’s something for everybody on this menu, and the owners cook (the mom) and run the dining room (the son) so they really care about your satisfaction. They serve various wines and sometimes the house wine is good, and sometimes it isn’t. I suppose you can ask for a goccia, drop, to taste before deciding. Most people order from a chalkboard with the daily specials listed. There are usually three pastas, 5 or 6 main courses and 3 vegetables offered. Whereas Pizzeria Romana offers original versions of vegetables, L’osteria offers a variety of homestyle meats and other dishes. This is where I have eaten stinco di maiale, or pork shanks roasted to a turn with herbs. Sometimes they serve goose stew and it is so great. In summer they often offer tris d’estate, which is a plate with a selection of special salads, like panzanella, which they do very well. A platter of selected items including sliced cured meats, cheeses and various bruschette. Bruschette of toasted bread scraped with garlic and drizzled with olive oil, then salted. Bruschette of toast with opil and scraped raw tomato. Bruschette of toast, oil and porcini mushrooms. A variety of the bruschette mentioned above. Crostone of toast with tomato, parma-style ham and mozzarella. Crostone of toast with tomato, sausage and arugula or rocket. Crostone of toast with air dried beef, tomato and Gorgonzola blue cheese. Crostone of toast with tomato, mozzarella and oregano. A platter of a variety of the crostone mentioned above. A platter of Parma style ham, salami, cured pork meat and crostini as above. This is quite an amazing thing, this piadina. The piadina is in this case an enormous thinnest flatbread with they bake until crisp then serve on a huge plate with a series of small bowls with sauces. They are mostly things you would not think of serving with bread, but somehow it works, although when I have ordered it, I couldn’t eat anything else, so so much for an appetizer. All of the above antipasti are big enough to share. Tomato, simple and probably with no more than onion and basil in it. Arrabbiata means angry, but really means spicy hot, although in Umbria that’s not very hot. Amatriciana is a tomato sauce made with bacon and onion and is lovely. Porcini is a sauce made with porcini or cepes mushrooms, and I do not know whether theirs is tomato based or cream based. These sauces are available for your choice of pasta. Greens, olives, tomato, celery and carrot, onion at your pleasure. Greens, olives, tomato, Feta, cucumber, onion, pepper. Tomato, cucumber, onion, tuna and olives. Greens, tomato, onion, celery and carrot. The salads are not very big here. Scamorza is a softish cheese shaped like a figure eight that is split and grilled until gooey. It is delicious and eaten as a main course with bread. The above scamorza with Parma style ham. the above with added asparagus, probably frozen. Mozzarella is served on its own as a main course. It is usually buffalo mozzarella but ask. Pecorino is widely made in Umbria and this is its youngest version. You can have this as a main course or share it as an antipasto or dessert course. This is the aged, saltier and spicier version of our Pexorino. Mixed cheeses allow you to taste a bit of various ones. It might be an ideal vegetarian meal with a salad or an appetizer for a crowd.